I was told by a friend (Jack my Neighbor) that one of the funnest roads in the country is along our route. He calls it the pig tails, but I think the official name is US16 A. Here is some information I found out about it. Known for its “pigtail” bridges, Iron Mountain Road redefined what a road could be. Climbing 17 miles from Custer State Park to the entrance of Mount Rushmore, you’ll wind over stacked loops of wooden bridges and through one-lane tunnels that perfectly frame Mount Rushmore. Such care was taken not to disturb the landscape that some sections of the road actually divide into one-lane one-way ribbons that swoop and bound through mixed pine and deciduous forest. Norbeck is also responsible for the design and routing of Iron Mountain Road (US16A). Iron Mountain Road is about 17 miles long and runs from the town of Keystone south into Custer State Park. It is often called “Pigtail Highway” because of its pigtail-like corkscrew bridges that quickly move travelers up or down the mountain while keeping the impact on the forest to a minimum. Just so he could maintain certain sections of the forest, Norbeck even designed the road so that it splits apart into narrow, single-lane sections that wind through the trees and then merge back together a few hundred yards later. Iron Mountain Road also features three rock tunnels that perfectly frame the faces of Mount Rushmore National Memorial. The famous faces seen through these tunnels are one of the most popular visitor photo ops in the Black Hills. Both Needles Highway and Iron Mountain Road are part of the aptly named Peter Norbeck Scenic Byway which is hailed world-wide by motorists, bicyclists and motorcycle riders as one of the most beautiful roads on the planet. These two roads – Needles Highway and Iron Mountain Road – should be on the “Must Do” list for every Black Hills visitor. The combination of natural scenery and man-made engineering feats are hard to beat. 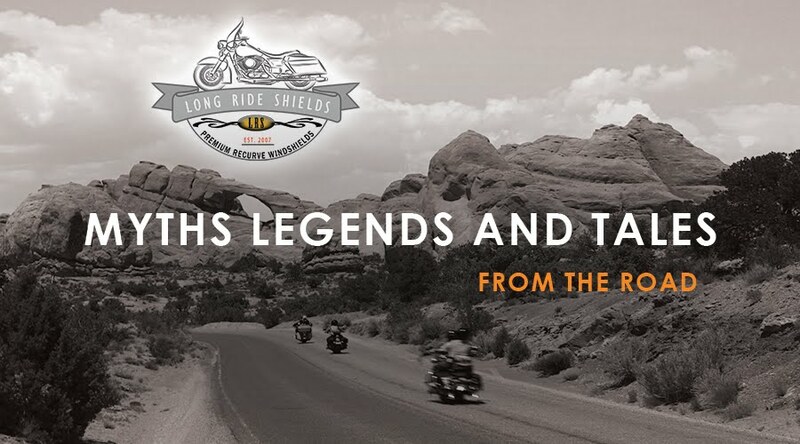 Myths Legends and Tales from the Road is a place, where we at Long Ride Shields can share stories and tales brought to us by customers and riders across the world as well as those we've found by our own research. It is a fun place to post and read about all the stories that come along with being a biker. At LRS we love to ride and we make products that make riding more enjoyable. Please read our blog posts and visit our website at LONGRIDESHIELDS.COM to see our products. OLD FAITHFUL- Used to wash clothes?